The Speedy PD has one of the most unique race courses in this area. 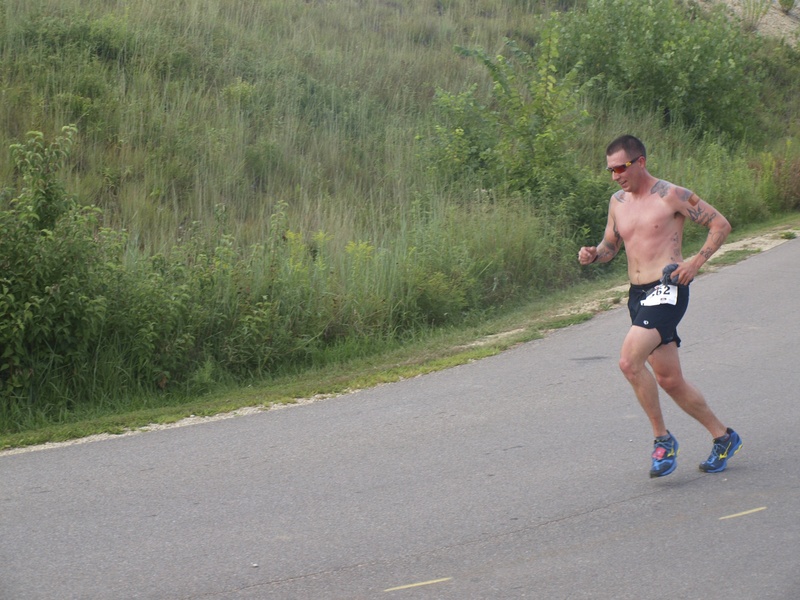 Set at the beautiful Tuttle Creek State Park, both the5Kand10Kcourses are USATF certified! Both courses are all on paved roads. The5K course is very flat to the finish. The10K Course includes a nice mile and a half climb – by the time you reach the top you will be confident you can conquer anything! A fast finish is guaranteed with the last 0.7mi decent to Race Headquarters. Both courses include scenic views of the lake, and a great atmosphere with volunteers and supporters lining the course. The race routes are stoller friendly, and we encourage to whole family to attend! You won’t want to miss it! 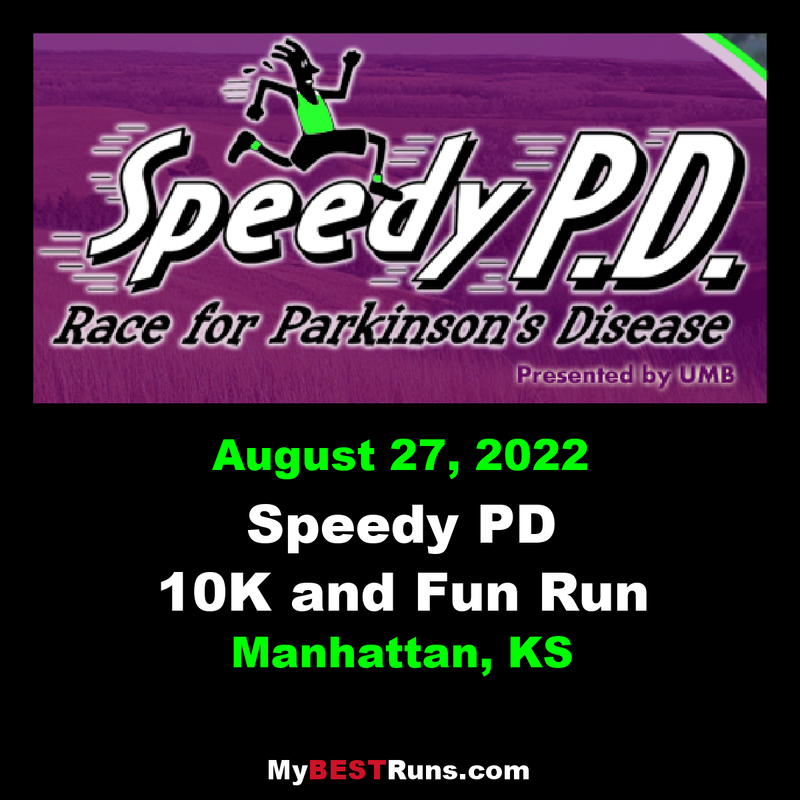 The Speedy PD 5K/10K and Family Fun Run is a event to benefit theMeadowlark Hills Parkinson Fund. The Meadowlark Parkinson Fund helps support services for the community to improve the quality of life for all those affected by Parkinson’s disease including patients, caregivers, therapists and nurses. With this fund, Meadowlark is able to continue and expand opportunities for education, outreach, scholarships for medical purposes, medical care and a future Parkinson’s resource center for the Kansas region. Beautiful setting at Tuttle Creek State Park running along the water on all paved surface. Best food of any race ever! Cox Brothers' BBQ sliders, Panera bagels, Fresh fruit (peaches, apples, bananas, and oranges)from Eastside & Westside Markets, and even BEER from Budweiser! Benefits the Parkinson's Program at Meadowlark Hills Retirement Community. Persons with Parkinson's sing the national anthem at the start of the race and cheer runners on as they finish. Awards include original artworks by persons with Parkinson's Disease. Come enjoy one of the region's most scenic road races and most enjoyable post-race parties!